Toronto's Catholic school board has launched a campaign to maintain, and in some cases add, international language courses within the traditional class day, despite the objections of some parents. In the 2018-2019 school year, classes in the International Languages (IL) program will cost almost $9 million to deliver at 44 designated elementary schools. "It is a really integral part of our program and what our parents want for their kids," board chair Maria Rizzo told CBC Toronto. "And in a city like Toronto, to even have this debate about whether or not this program should exist blows my mind." The board has been extending the school day by 30 minutes at those 44 schools so children can get instruction in Italian, Portuguese and Spanish, among other languages. It's been happening for more than four decades. But last year, an arbitrator ruled that it was unfair to ask teachers to stay after regular hours without compensation. 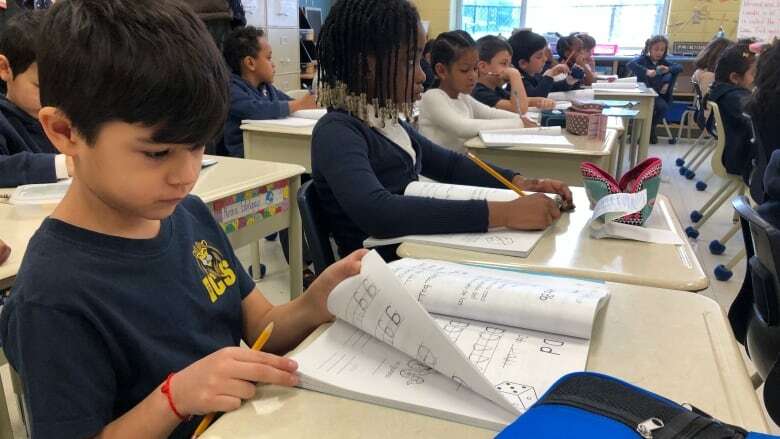 That meant that all TCDSB schools had to end their day at the traditional 3 p.m. closing time after the province's mandated 300 minutes of daily instruction. A casualty of the new, shortened school day was the IL program, because the Education Act stipulates that within the regular five-hour school day, only approved core subjects — which do not include international languages — be taught. This past fall, the board responded by shoehorning the language classes into the regular, 300-minute-long school day, at those 44 schools. And that has concerned some parents, who wonder which core subjects are being sacrificed to accommodate the language classes. 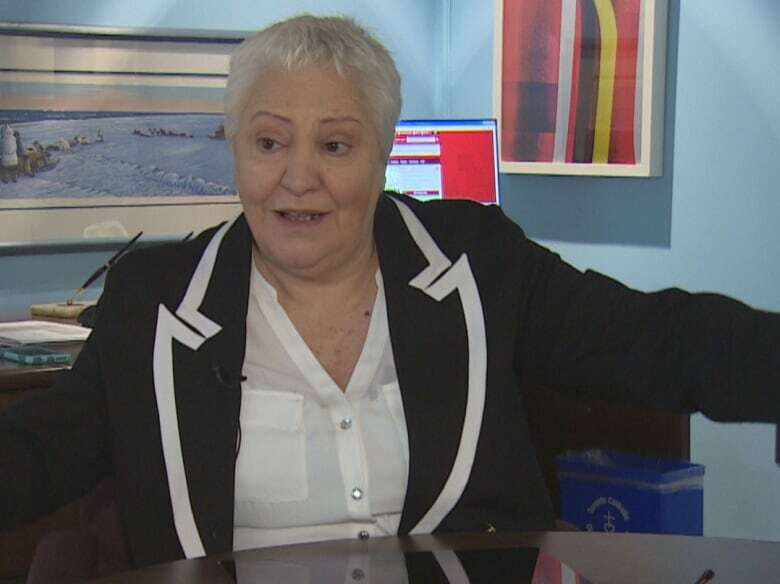 Jo-Ann Davis, a former TCDSB trustee who has an elementary school-aged son, said she's concerned about core subjects being pushed aside to make room for the language classes. "I don't think I'm alone as a parent in terms of ... concerns with how full the day already is, in terms of trying to get through the fundamental core curriculum without this addition," she said. Rizzo acknowledged there are some parents who say it will detract from other subjects but described them as "a small minority." Most parents who attended last Thursday's board meeting spoke out in favour of continuing to offer international languages during the regular school day. "Schools that have international languages have a leg up on kids that don't learn international languages," Rizzo said. "It's unbelievable what kids can do when they learn another language." Last fall, the ministry gave the board special dispensation to continue IL classes temporarily, but with conditions. First, it ruled the classes would only get provincial funding in the 2018-2019 school year, and only if the board could demonstrate that the classes didn't cut into time spent on the core curriculum subjects, like social studies and math. The province agreed to a one-time $3.6-million payment, and the board was left to come up with the balance of the program's cost, about $5.2 million. 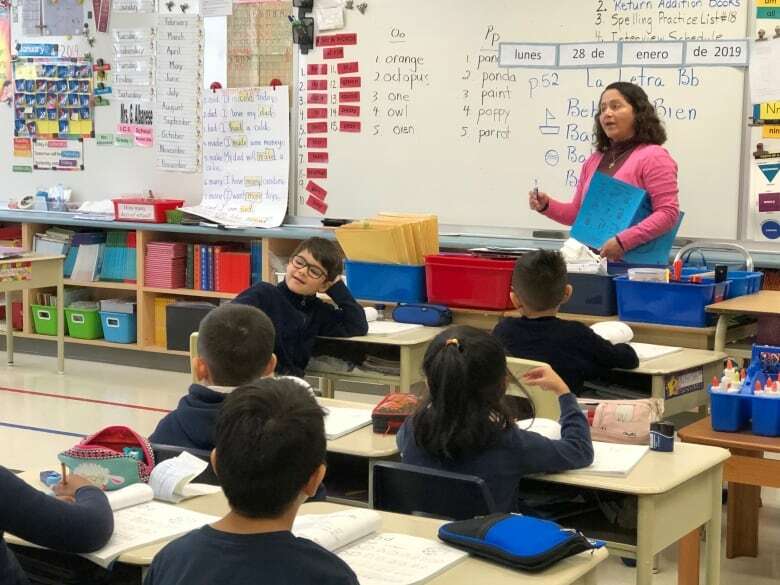 The TCDSB agreed, and the 44 schools that already offered IL classes have continued doing so in the 2018-2019 school year. Then, in November, the board launched a survey of parents at all of its 164 elementary schools. The aim was to determine whether parents liked the idea of offering mandatory IL classes within the school day. Parents at only 21 of those schools responded in sufficient numbers to warrant consideration for IL classes. The board maintains the survey results show that in addition to the 44 schools currently teaching international languages, another four — Holy Rosary, St. Antoine Daniel, St. Matthias and The Divine Infant — want to be added to the roster of IL schools starting in the fall. Parents at one school, Father Serra, voted against introducing international language classes within the school day. On Thursday, the board's trustees agreed on a handful of measures aimed at persuading the province to approve and pay for IL courses permanently. Lobbying the province to give "permanent approval" to teaching IL within the 300-minute school day. Full funding for the cost of the IL courses. Organizing a "day of action at Queen's Park in support of International Languages as soon as possible." But even as the board was meeting, the provincial education ministry was warning the funding may not be there in the future, no matter what trustees want. "The minister's approval for this course of study is for one year only and is contingent on the board meeting specific conditions including monitoring implementation to ensure that curriculum expectations will continue to be met in all subject areas," a ministry spokesperson wrote in an email Thursday.